Be mindful of rodent poison. Rodents are likely to make their way into your home during this time of year. You may be tempted to leave poison out in the open, but your pets can get into them with fatal results. Make sure you place the poison in areas that your pets cannot get into, like cupboards and cabinets, or in rooms that stay closed off. Be sure to protect your pets at all costs because rodent poison is very seriously toxic to cats and dogs. Watch their food intake. During the summer, pets are more active outdoors and burn more energy which can cause them to eat a bit more. Fall and winter can become a pudgy season for both pets and humans, with less activity and increased decadent foods available. 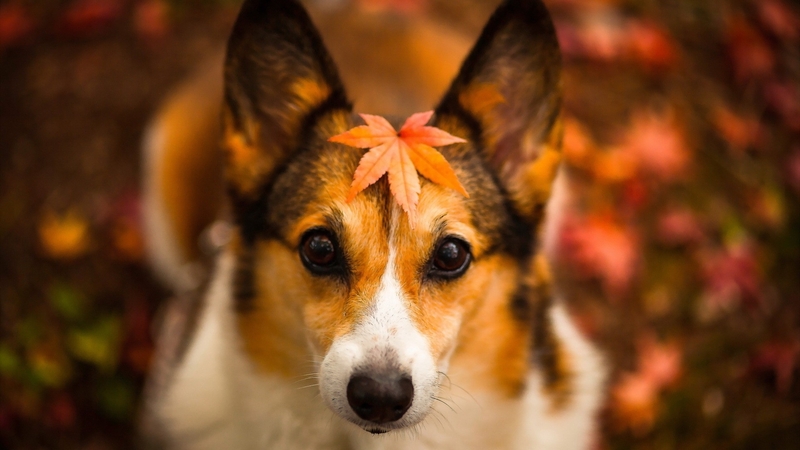 Be sure to watch your pet’s diet and ensure they are getting enough exercise during these cooler months. Consult a veterinarian before making changes to your pets’ diet, as every animal has different needs. Beware chocolate. Chocolate consumption goes up during the cooler months with the celebration of many holidays. Be sure to keep your pet away from the chocolate, as it can make dogs very sick. Keep your trick-or-treat buckets out of reach from mischievous, hungry pets. Avoid bones. You may be tempted to give your pooch a turkey bone from your Thanksgiving feast. Most bones are actually a choking hazard to dogs. Toss your pet a piece of turkey meat and throw the bones away instead. Be mindful of decorations. Until your pet is familiar with the painted pumpkins, stuffed turkey decor, and fake snow in your home, she might accidentally knock them down or ingest them. Keep your decorations up high or out of pet’s reach for the safest bet. Clean up the anti-freeze. When you winterize your vehicle, make sure to clean up every bit of anti-freeze. It has a sweet smell that draws in pets. However, a very small amount can kill pets. Keep your pet away when you’re using anti-freeze and thoroughly clean any spills. This entry was posted in Dogs, Pet Care, Pet Tips and tagged autumn pet tips, dog care, dogs, fall pet tips, holiday pet tips, Pet Care, pet tips, top pet tips on September 23, 2016 by admin.